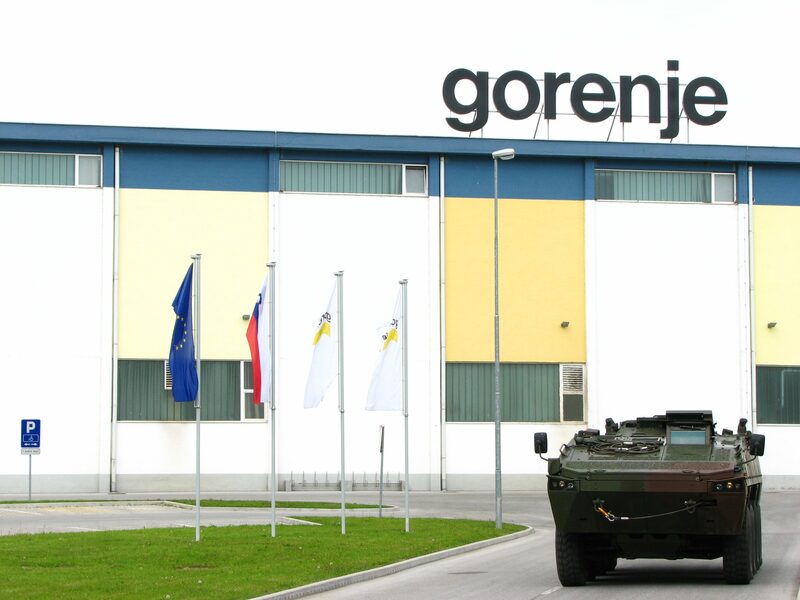 On May 9th, the Victory and Liberation Day, Gorenje Indop, working with the Finnish company Patria, organized an open day door. 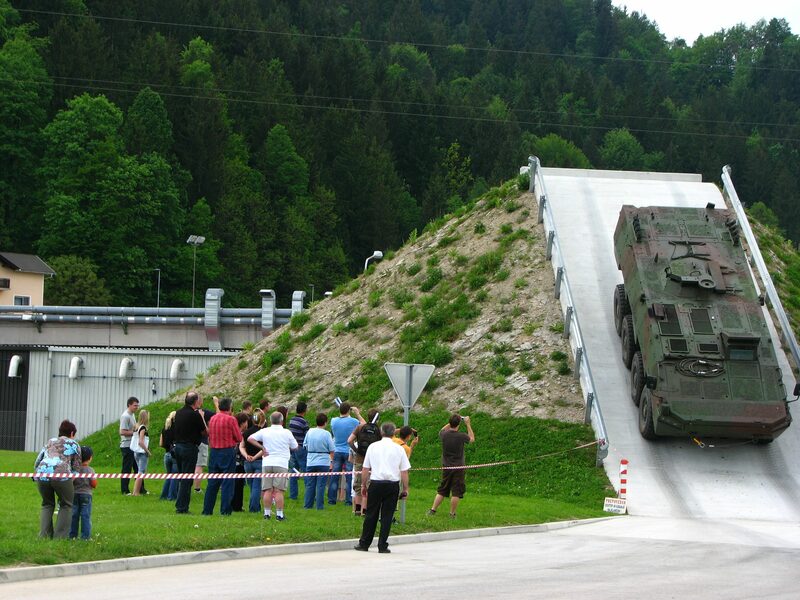 Visitors were able to learn about the production process of the Patria AMV 8×8 armoured vehicles and witness the performance of these vehicles in action. 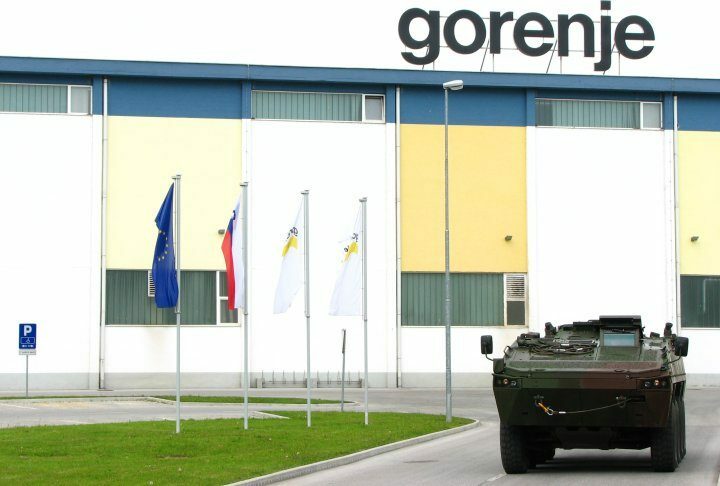 In November 2007, Gorenje Indop, in cooperation with Patria, commenced the production of the Slovenian version of the Patria AMV 8×8 armoured vehicles for the Slovenian Armed Forces. 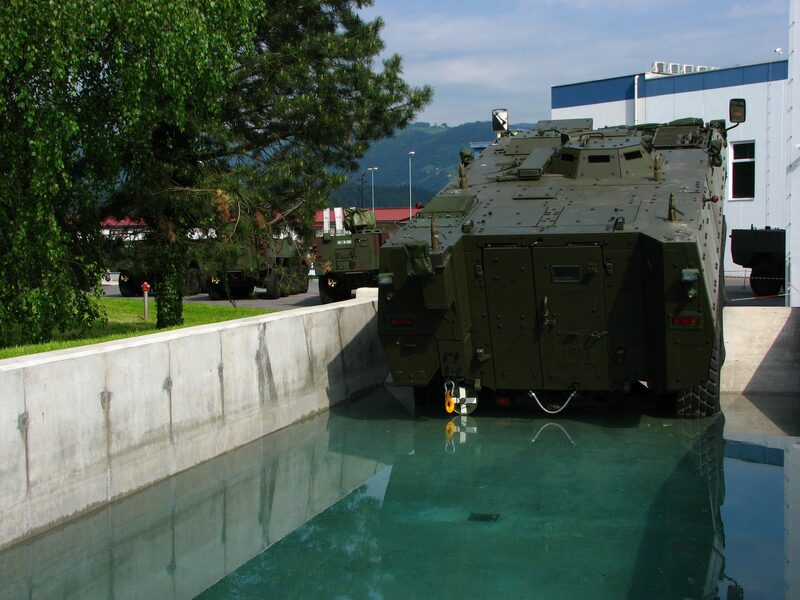 A year and a half after the commencement of the production of Slovenian 8×8 vehicles, we were proud to arrange a presentation of the excellent results of this Slovenian-Finnish team-up. 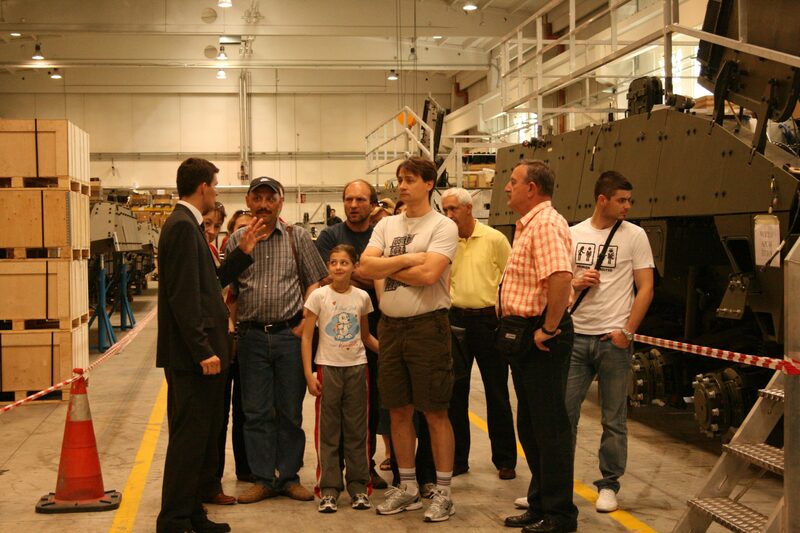 Approximately 800 visitors, mostly from the Šalek Valley, attended the open day door on a sunny Saturday. 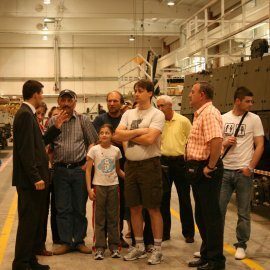 They could hardly conceal their enthusiasm about the expertise and professional approach of our experts, which they observed during the tour through the manufacturing plant. 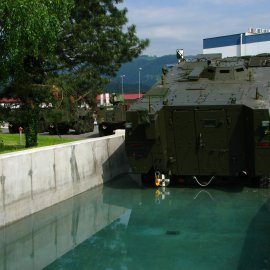 After the tour, the visitors were shown an interesting video on these armoured vehicles. 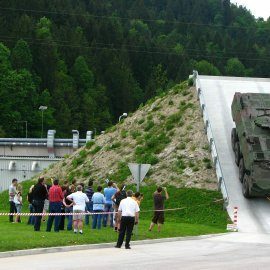 The visitors were particularly stunned by a flawless climb of a Patria AMV 8×8 on a 60° slope, as well as a display of the vehicle's submersion into the waterproofing tank, and the sheer manoeuvrability of this battle machine weighing 4.6 tons and measuring 8 meters in length, driven by a 405 kW / 550 HP engine.